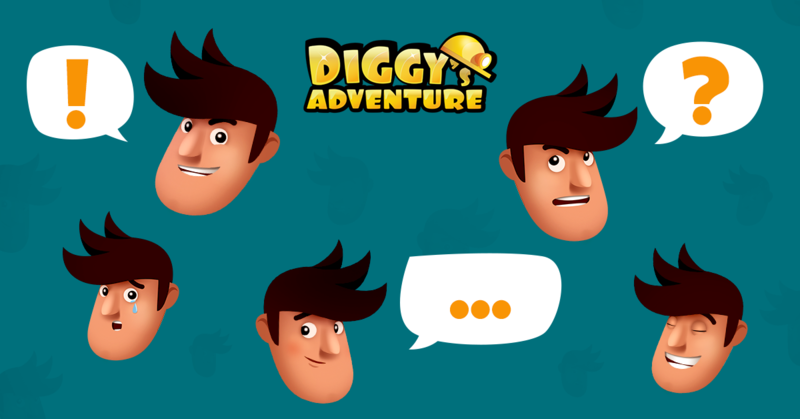 We asked you to put your most burning questions to the comments under AskDIGGY post on our Diggy's Adventure Facebook page. And as we promised, here are the answers to some of the questions. Wondering if you are going to continue with the segmented quests or go back to the way it used to be? The aim of the segmented event is to provide our players with materials and items that fit their current region. Due to the fact that the game has become more complex in the meantime, it was necessary to segment the events according to the region, so that the event would fairly meet demands of all our players at the same time. The segmentation is a big endeavor and we understand that it may seem unfair at times, but after all it brings along a lot of benefits. That's why we plan to continue with the segmented events in the future. What about a missing tiles detector? We launched the Last Tile finder as an experimental new feature on Tuesday! This feature helps you find all those stubborn missing tiles hiding in plain sight! Tile finder button appears above the portraits of friends while being in the location. It can be only activated when you are missing 10 or less tiles. It has 1 charge per day. If you have several locations which need clearing, you can purchase a speed-up of another charge for 10 Gems. Once you decide which location to use the tile finder on, you click the button and the tile finder will remain active until your location is cleared. You can even return on another day, the tile finder will remain active. After clicking on the “Find the next tile” button a sparkling trail will appear, which will lead you to the closest missing tile. The trail is only15 tiles long, if the missing tiles are further away, you will be able to find them by clicking the “Find tile” button more times. If the tile is located on another floor, the tool will show you the path to the exit, which will lead you closer to the tile. This feature will be available in its testing phase only for one week (31st October - 7th November) and it is available only on the desktop version of the game. Why does it cost so much energy to play the higher levels? As you progress in the game, you are able to buy more powerful items of higher regeneration and capacity. In order to have enough energy to play for a longer time, make sure to always update your camp equipment as soon as you can. Also, don't forget to unlock new recipes in the kitchen and prepare food for Diggy. You can use it either right away or anytime from your inventory. Can the shop items be put in some sort of order? I would love to see a filter for the shop. This is definitely on our to-do list, but we are trying to make careful decisions when it comes to bigger changes in the game. Can't you let us, the players, choose how difficult we want the new segmented quests? We are very sorry but we are not planning to add this kind of feature to the game anytime soon. For now, every player will be given the type of event according his/her actual region in the game. Who the hell came up with toilet fish? Will caravans ever be region-based? Can we produce items (bronze, iron, etc.) for 8 hour periods (night mode)? Is there any chance we can have an icon showing which neighbors need windmills? Thanks you for the suggestion but unfortunately, it is not technically possible for us to track windmills at the moment. Can we barter? I don’t use the speed potions and would like to trade them in for supplies I do need. 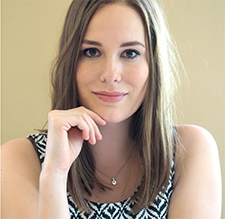 We are not planning to add the barter feature to the game. Are you able to make collecting godchildren in your neghbors´ camps easier? The same thing could be done for those who need windmills. It takes even longer to see who needs them. We are aware that the current mechanics are not ideal and therefore we are searching for all possible solutions, which may improve the gaming experience. Our tech team is working hard on a new system of collecting the godchildren. Is there or has there been a way to get "costumes" to change the way how diggy looks? This is a great suggestion and we would definitely love to add costumes to the game but for now, we are focusing on other features, which are actually more important for the gaming experience. When or how often does the funny little salesman come back to camp? You can expect the trader visiting your camp around Christmas time. Where will Diggy continue his adventures and when? Can we go to Australia or America or Space or underworld like tunnels? We are focusing on making new locations for the Greece region at the moment and also various events in the meantime. There will be another region after Greece, but for now Diggy will keep this secret and won´t tell you the name of the new region. Is there any chance to get different background without spending 500 gems? With every new region, there is a new theme available to you for free. Also, from time to time, there are discounts on the themes included in the Special Offer. Can you add a repeatable (material) location for herbs? Herb farm is not something we would like to add to the game in near future, but we can promise supplying the locations with more herbs. Can you automatize the Professors Switch System, so that it would switch over to another mode when a player forgets to switch it before going to bed at night? The Professors Switch System is not going to be automated in any way. It´s not our intention to interrupt our players´ tactics linked to this game feature. Did you think about adding more space to the underground of Diggy´s camp? Due to the technical reasons, it is currently not possible to create more space in the underground, nor to add another row below the current ones. That's why we are not planning to extend the campsite. How much food can you have in your storage? There is no restriction when it comes to the maximum amount of items in your inventory. What was your inspiration behind creating the game and are there any plans on developing another game like this? The inspiration behind Diggy's Adventure were Indiana Jones and Pulp Novels mixed with the sense of humor and levity. What is the best way to arrange the camp and what items should be placed in the underground of Diggy´s camp? The best way to optimize your camp is using the Professor´s Switch System and set capacity of the camp according your usual pauses between two Diggy's Adventure sessions. We recommend adding the most powerful items to the underground of your camp, while using 80% of capacity items in the night mode and 80% of regeneration items in the day mode.